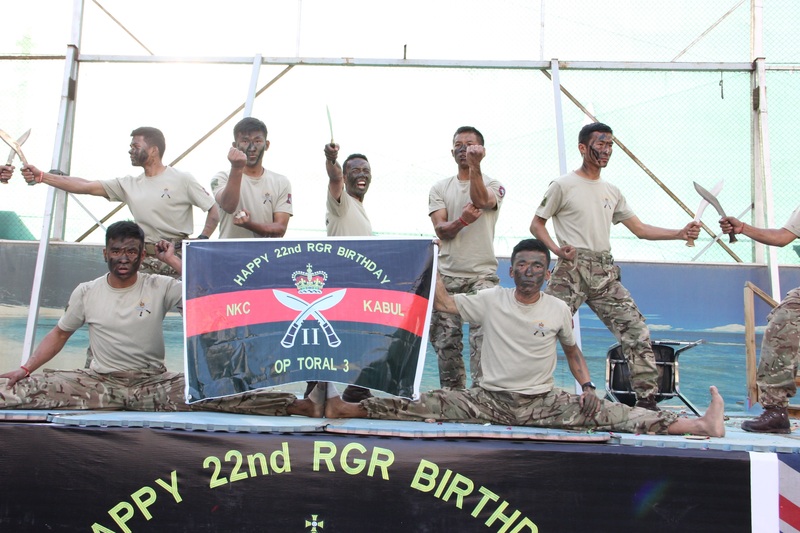 On 1st July, soldiers from C Company and Battalion Headquarters of 2nd Battalion The Royal Gurkha Rifles (2RGR) celebrated their Regimental birthday at their base in Kabul. 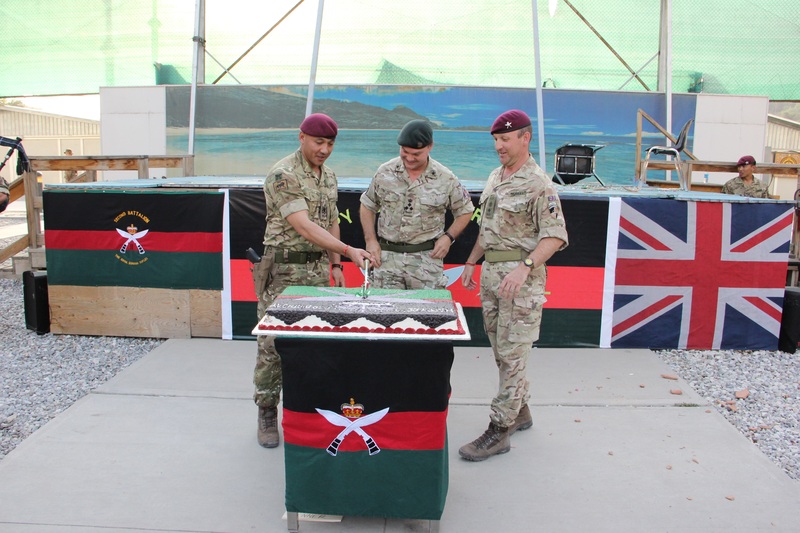 Working in a multinational unit proved the perfect opportunity to show off Gurkha culture and hospitality. 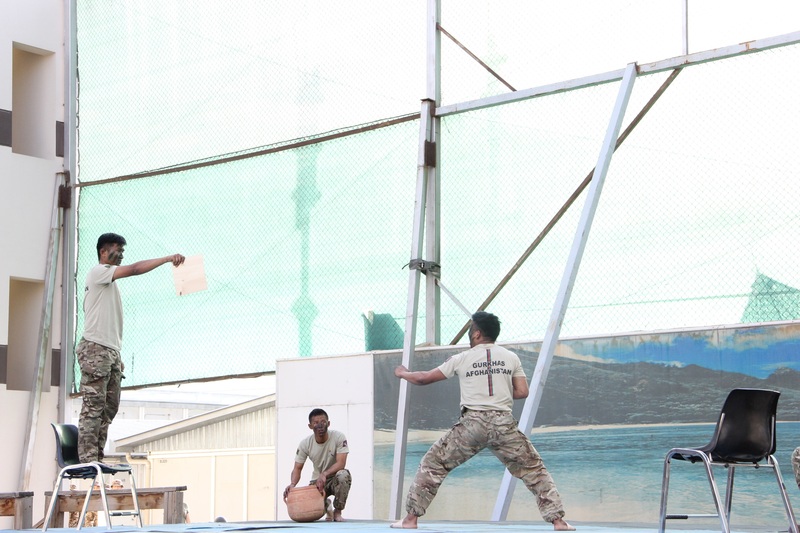 A taekwondo and kukri pattern display were the highlights of a cultural show attended by Deputy Commander Resolute Support, Lieutenant General Sandy Storrie CBE and Commander Kabul Security Force, Brigadier Ian Thomas. 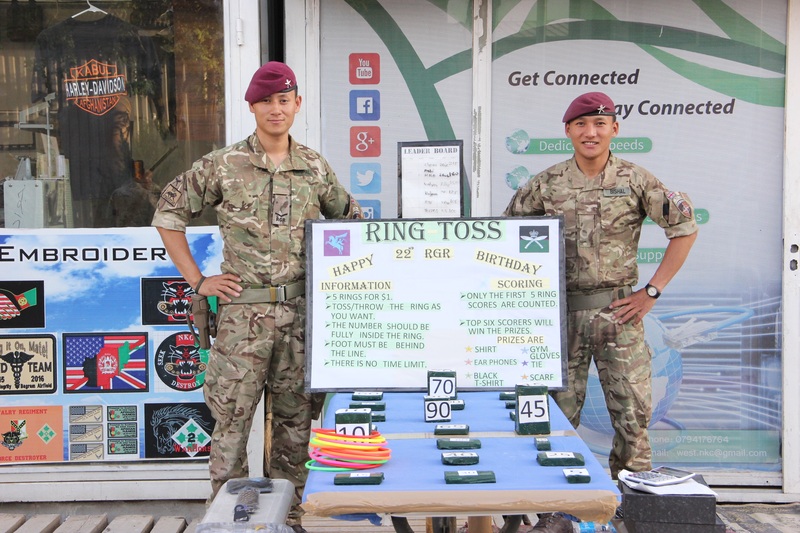 Alongside the Gurkha cultural displays, C Company took the opportunity to raise funds for the Gurkha Welfare Trust. Stands were built to explain the history and geography of Nepal, as well as the work of the Gurkha Welfare Trust, supporting ex-servicemen and their communities across Nepal in a variety of ways. 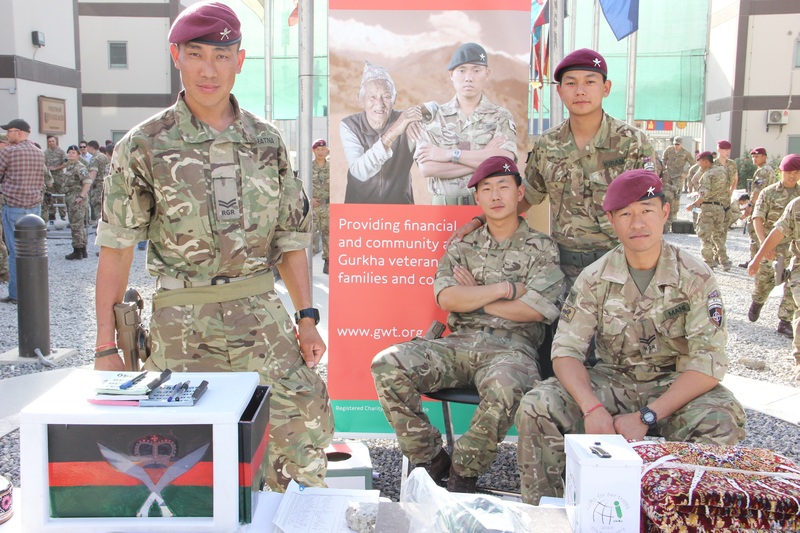 From special assistance programmes following the 2015 Earthquake to clean water projects and medical clinics, the money raised by their Resolute Support comrades will go towards making life better for Gurkha veterans both in Nepal and the UK. 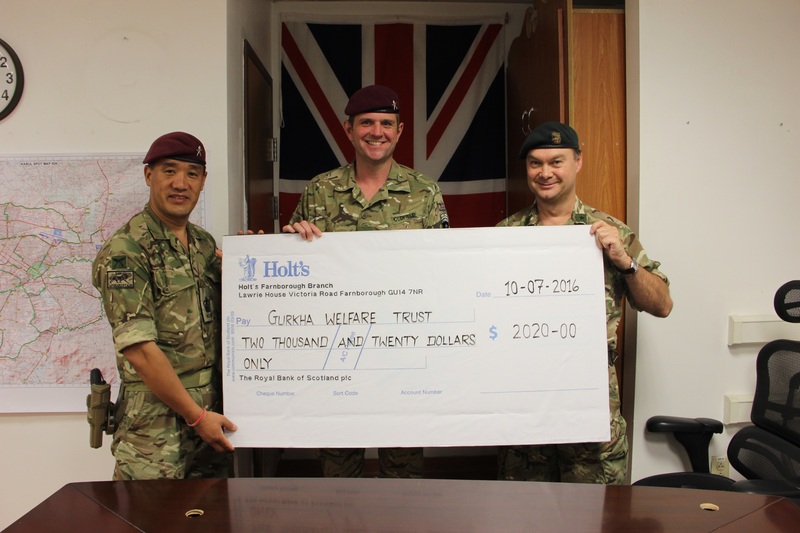 Major Edd Oldfield and Company Sergeant Major Lakhbahadur Gurung, from C Coy, presented the cheque of money raised to COMBRITFOR, Brigadier Ian Thomas, himself a former Commanding Officer of 2RGR.